MHP Communications has been appointed by The European Federation of Pharmaceutical Industries and Associations (EFPIA) to run an EU-wide communications programme. The health outcomes programme will focus on how to achieve sustainable healthcare systems in all EU member states. Commenting on the project, Con Franklin, director of MHP, said that there is currently “no greater challenge in European healthcare than securing the long-term sustainability of member state health systems”. Franklin will jointly lead the project alongside Rachel Rowson, head of health at MHP, overseeing a small team in the UK and Brussels and reporting to EFPIA's director of communications, Andy Powrie-Smith. The campaign will seek to increase the focus on care based on health outcomes which go beyond direct clinical results and consider the individualised needs of patients. 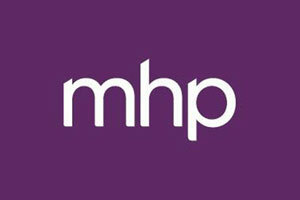 Powrie-Smith welcomed the partnership with MHP saying, “working with MHP allows us to tap in to their undoubted expertise and enthusiasm to deliver a transformational programme of activities”.